There is ongoing research into the way we learn and retain information, whether it’s as children, students or adults. Older methods of rote learning have been replaced by critical thinking models and active engagement between teachers and students is now the norm. But one of the most interesting and engaging ways we can learn (at any stage of life) is through service learning. It gets students outside of the classroom into real-world situations where their problem-solving skills, ideas and traditional beliefs are put to the test. Combining community service with learning objectives, service learning is a way for students to apply lessons learned in the classroom to a real-world environment while working for positive change in communities. It’s a form of experiential education that engages students in activities that address social needs while achieving particular learning outcomes at the same time. Service learning can include volunteering that is purely altruistic in nature, as well as community service programs that are more structured or may involve a longer-term commitment. But service learning can also encompass internships where students gain experience on a particular career path, as well as field education that complements their formal studies. Ideally, service learning is a balance between “service” and “learn”, with each enhancing the other and an equal emphasis placed on both. It should benefit both the recipient and the provider, with the lives of communities or individuals being improved while the student learns important skills along the way. Why is service learning beneficial? Service learning assists students to learn in various different ways. This includes interpersonal learning in which they are encouraged to re-evaluate their own personal values and motivations through their service experience. At the same time, students build a connection with the community in which they are working and bond through the commitment they make. Students also benefit academically from service learning projects, with lessons taught in the classroom being applied outside in practical and hands-on ways. They are encouraged to think critically and problem solve in real-world situations, preparing them for the challenges of the professional world and enhancing cognitive development. Rather than just relying on traditional means of education, service learning supports new ways of doing things and encourages the development of ideas. Students become active citizens in their communities and experience first-hand the social issues facing them, helping to challenge or even transform the student’s previously held views. Much of the knowledge we retain is through daily life experiences, not just what we read in a text book or is taught to us in the classroom. Through active service learning, students are more likely to be impacted by new ideas than if they are dictated to them. By being involved directly in a project or cause, individuals are motivated to make a difference and may become passionate about pursuing a career in that field. It’s in roles like these that people often discover their place in society and how their actions can make a difference in the lives of those around them. They may be working with people of different ethnicities and socioeconomic statuses, leading to an increase in tolerance or greater awareness of the issues being faced. Students involved in service learning are more likely to become active citizens in their own communities or those around the world. Service learning is also a great way to connect with professionals in your field of study and may even lead to an internship or job later on. It gives students a glimpse into the reality of a potential career path (and may help to cement their commitment), as well as affirm any urges towards a life in the community services or humanitarian sector. How does service learning differ from study abroad? While study abroad programs enable students to carry out their academic career in a completely new environment or culture, service learning is a more practical means of learning that involves some element of community service. It’s not just about meeting the requirements of a particular course, but gaining hands-on experience in your field while giving something back at the same time. Study abroad helps to broaden a student’s horizon by transferring them to a different country and culture. But service learning abroad takes things one step further, immersing the participant in the issues affecting the society and the challenges of day-to-day life. Rather than just learning curriculum that will be tested during an essay or exam, students are actively putting their knowledge to the test and applying it to real-world situations and issues. 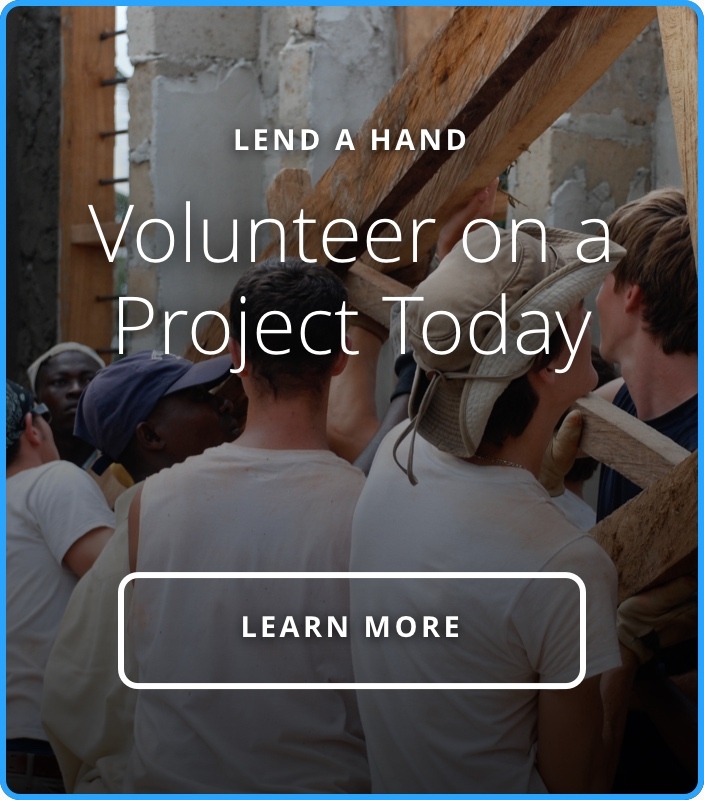 If you’re a student at high school or college, check out if your school offers service learning projects or particular courses that include a component of service learning. If your school doesn’t offer service learning programs or you’re no longer of school age, then volunteer abroad projects are another great option. Volunteer abroad organizations offer service learning projects in a whole range of different fields, from building to environmental conservation and social issues. It means that anyone at any point in their life can choose to learn new skills while giving something back at the same time. Placements range from week-long projects to immersive internships where you’ll spend months abroad dedicated to a particular community. While some projects are purely hands-on, others involve some academic work that enhances the learning objectives and offers a greater insight into the issues being faced. The more time and energy you commit, the greater the benefits are in terms of development and transformation. An effective service learning volunteer placement is designed to challenge the student and make them active participants, rather than just observers. You will be encouraged to take on a variety of tasks and leadership roles, as well as developing your communication skills. But it’s also important that you have time to reflect on the project, the lessons learned and your own personal development along the way.